Philip Miletic is a writer, editor, and a PhD candidate at the University of Waterloo. His research interests include auto/biography, affect, 20th-century American literature, and media studies. He writes on video games too, but mostly through poetry: mother2earth and world 1-1 co-written with Craig Dodman. 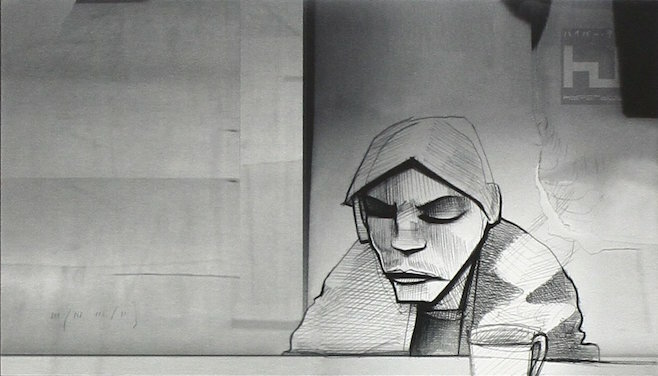 During my MA, I grew attached to the music of the UK electronic artist Burial. His music helped me a lot throughout the writing process of my Major Research Project (MRP). His music is ethereal and spectral, simultaneously steeped in the depths of loneliness and pulsating with a comfort that draws listeners out of that loneliness; it is the kind of music that reflects the push and pull of (academic) isolation I experienced at the time and still deal with today. Take this beautiful remix of his, for instance, which is drearily pulled back slow and yet soothingly shimmers. It’s a song I had on nonstop repeat during my MA. So, when Burial released his first ever public photo in the first year of my PhD and wrote that he was eagerly looking forward to Dark Souls II, so much so that he admitted that he would have to put aside making music until the game was released, I took notice of the importance he placed upon that series, which I hadn’t played or really heard of at the time. I became curious to find out if Dark Souls resonated with Burial’s music, if I would be able to find something I love about Burial in Dark Souls. It wasn’t until around the 2015 holidays that I started playing Dark Souls. I had just had my dissertation proposal approved, with the dissertation writing to commence in the new year. Initially, I thought I would finish Dark Souls over the holidays, but the game soon became an accompaniment to dissertation writing–just as Burial’s music accompanied the writing of my MRP–and I didn’t reach the end of Dark Souls until the end of October 2016. Reflecting on those 11-maybe-12-months playing Dark Souls off and on, I couldn’t help but think of the intersection between Burial’s music, dissertation writing, and Dark Souls. Like Burial’s music did for me during my MA, Dark Souls got me (partly) through my dissertation. There are no direct correlations, no perfect analogies, no causes and effects. There is no “completion” to this story, besides me finishing Dark Souls. I’m still writing my dissertation and Burial is still making music (but has yet to release a full album since 2007!). But there are certain resonances, informed by personal sentiment, between Burial’s music, Dark Souls, and dissertation writing. Or rather, using a phrase of Barthes’, there is an “inventory of shimmers” between these three things that have intersected in important ways in my life. I don’t have a typical narrative, but I can take you through a couple of items in this inventory of shimmers, items of resonances and reverberations. Little by little; incremental movements and iteration. 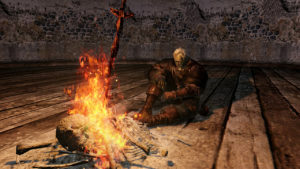 My total time playing Dark Souls was around eighty hours, and I played it off and on throughout the year, either because I decided I wanted to take a break and play other games or because I had played to a point where I was exhausted and was making mistakes here, there, and everywhere. 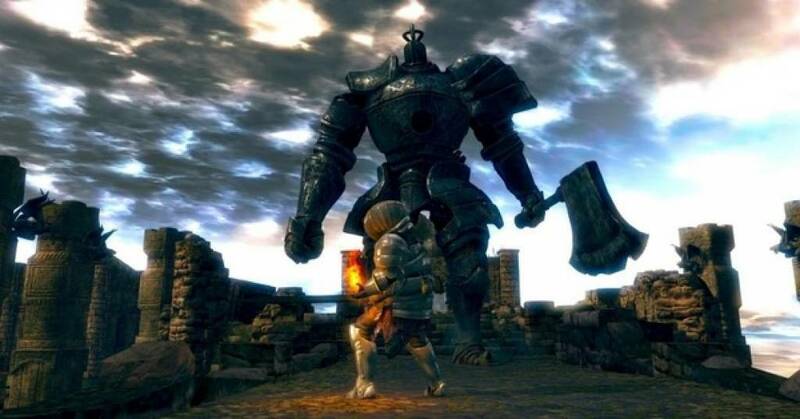 Regardless, Dark Souls was a game I could only play in small doses, eventually finding a near-nightly rhythm that made me play the game more frequently. 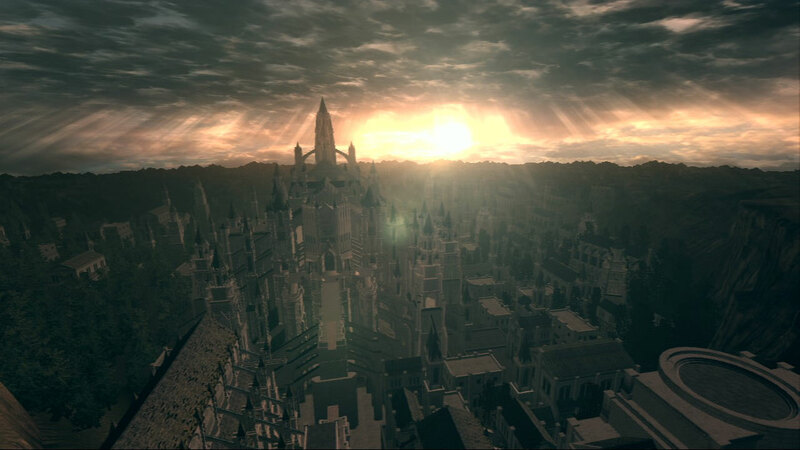 Some nights I played it for two hours and didn’t make any progress whatsoever, exploring the vast, beautifully interconnected world of Lordran; other times, I played it for an hour or more and made leaps and strides. My playthrough was incremental; I literally inched through the game, making a little progress before dying all over again. But somehow this made playing the game more enriching, and made me appreciate the game more than I would have if I had just played it non-stop until I completed it. For me, the world of Dark Souls was incrementally built; the small doses of movement in the game eventually composed my experience and understanding of it. The latter half of Burial’s music, consisting only of EPs (Kindred, Rival Dealer, and the recent Young Death/Nightmarket to name a few), are compositions of that same incremental nature. Each song in these EPs contains incremental movements, some longer than others, that shift into each other or stop altogether and lurch or ease into another movement, establishing a richly layered and complex composition. Sometimes a movement stops suddenly, only to begin again but with a certain intensity to it that paints it differently. The stops and starts, the pushes and pulls, can seem random and messy. But like with any kind of music, the more I listen to these songs, the more I discover a cohesiveness to them, each listen incrementally coalescing into a little world. The dissertation writing process is one that I find has its pushes and pulls, its stops and starts; there are days that I stare at the same sentence for six hours and there are other days that I write paragraphs-for-days in an hour and a half. But my writing process is incremental. I feel as though I am inching forward. And I have always found that to be true about my process. I just can’t fathom all you night-before writers. Sometimes I go out of my way and write all of the things, only to edit out the majority of them after some productive back-and-forth conversations with my supervisor. But I can only hope that in the end what is produced is a good dissertation. I can only hope, fingers crossed, knock on wood. But besides the end product, this iterative and incremental slog movement through my dissertation has made me stumble upon ideas about my research areas that I never thought of before, coercing me to write things I never thought I would write. The dissertation is less like a thing on a screen and more of a house that I move around in and come to know really well (although, like in real life, I still stumble into walls, stub my toes, trip over laundry, and occasionally make a wrong move and fall off a cliff). I was always awed by Dark Souls whenever I turned a corner and found myself back at the Firelink Shrine. This never really got old. Every single time I would exclaim in amazement and joy (and, at times, relief). Lordran is tightly interwoven, but it doesn’t feel like it is at first. Initially, I had this feeling of moving away from where I began, going only forward. It was only later that I started thinking of Lordran as labyrinthine, although I am hesitant to call it a labyrinth. Dark Souls is kind of open world but kind of not; there is a mixture of direction and exploration. But unlike any open worlds that I have played, Lordran has a literal depth to it because of its unique sense of verticality complementing the horizontal exploration of the game; not only could I move around in an area, but I could also descend into its depths and scale its heights and yet somehow return to where I began, or discover an entryway into another area of the game I had visited before. The more I played the game, the less I felt lost and the more I felt comfortable with my movements throughout the game. Everything just clicked together, snapping satisfactorily into this world I felt was so interconnected, and felt so connected to. The beginning of Burial’s “Come down to us” opens with a timid voice: “Excuse me, I’m lost.” The song takes you down a labyrinthine journey of the self, navigating those long and winding roads of becoming comfortable with who you are and those risks you take in finding yourself. Voices chime in in encouragement as the song takes you deeper and deeper into the depths of self-reflection and self-discovery, reassuring you that you are not alone. After a brief pause in the track, a voice suggests, “Don’t be afraid to go into the unknown.” And then the song slowly emerges, as if you are finally finding your way from out of the depths of a cavern towards daylight, into a celebratory triumph: “you are a star.” In the beginning of Dark Souls I was completely lost, so lost. But the more deeply and thoroughly I scaled Lordran, the more confident I felt in my movements. I had dreaded certain areas–the unknown–and I felt uncertain about what to do and unconfident about myself and my place in the game. It goes without saying that dissertation writing, and academia in general, causes a lot of imposter syndrome. Still to this day, I am unsure of everything I write, and I don’t think I will be totally confident when this dissertation is over and done with–just confident enough. But at this juncture of my writing process, I do feel more comfortable than I did in the beginning. In the beginning, I was stepping into the unknown; I was afraid. Every two weeks I was knocking on my supervisor’s door and murmuring, more or less, “Excuse me, I’m lost.” And every now and then my supervisor would say, more or less, “you are a star”; I level up; I get some new armour (confidence) and a weapon to cleave through the labyrinth of my dissertation. The writing process has been winding; it has been a complex and frightening experience, in which at times I feel like I have hit a dead end. But then I come back to it, I approach it from a different angle, and I end up in either a new area or a familiar one; I finally find that return to the Firelink Shrine, my thesis. It’s an “ah ha!” moment that is simultaneously filled with relief and excitement; I know where I am and I can take a moment to recalibrate and plot my next move. A loneliness and its comforts. Dark Souls was a lonely game for me, but I found it comforting. I guess I should admit at this point that I wasn’t able to play online, so I played all of the game alone, with no messages or interferences or help from other people (which totally would jive with the coming and going voices across Burial’s oeuvre). Maybe it’s all of the above (these three points do overlap), but I just loved the feeling of being alone in the game. I almost want to say that playing the game was meditative. The iteration and incremental movement lends to that meditative feel; and the deeper I got into the game, the more alone I felt. But it felt good. I need some good, quality time alone every now and then. And I needed it then. I liked this space of time alone, in small doses or else I’d get lonely, hence the off and on habits I had with Dark Souls. I admit, I’m a sad sack. And I enjoy the sounds of melancholy. I just find them comforting, and they help me get through my own loneliness and depression. And although Burial’s music is not the only music that achieves this effect, I believe that his music communicates that desire to listen to something sad and lonely in order to reverse your own loneliness. A large amount of his music is about that very process, of that habit of listening to something lonely to feel less alone. Whenever I put on a song of his, it’s to be meditative, to reflect, and to pause for a moment, to keep still before moving on. And, okay, there have been many times my dissertation has made me feel too alone, that pushed me beyond my acceptable threshold of loneliness and into despair. But there are other times–like this very week that I am writing this–that I find the writing of the dissertation to be comforting. I enjoy the kind of bubble it creates around me, whether I am at home in my own office or I am on campus or in a coffee shop. I feel cocooned and hermit-y. And I like it. And like playing Dark Souls, like listening to Burial’s music, I can’t write my dissertation 24/7. I like the loneliness and the comfort it offers, but it only offers that comfort up to a certain point. Once I pass that point, there is only frustration, numbness, and loneliness. Do I miss Dark Souls? I do. I even started a New Game Plus, which is very rare for me. But then I just left it, to return to it maybe later. I’m not rushing to Dark Souls II, either. I just want the first game to simmer a little more, for its last note to ring out a little longer, for its reverberation to enter my own work like it did Burial’s.